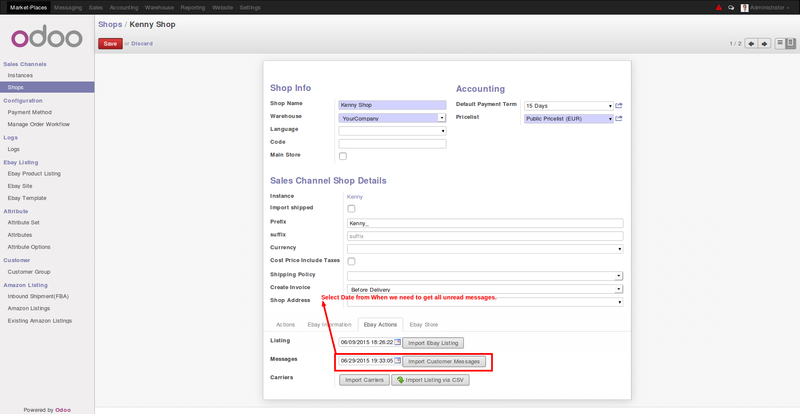 Advance Feature of Ebay : We have introduced advanced feature in our Ebay connector called Ebay Messaging.In this feature we import Ebay messages from Ebay store into Odoo and we can reply on that same message from Odoo back to Ebay Store. Step 1: In this feature we will have button called “Import Customer Messages” which will bring all ebay messages of customers. 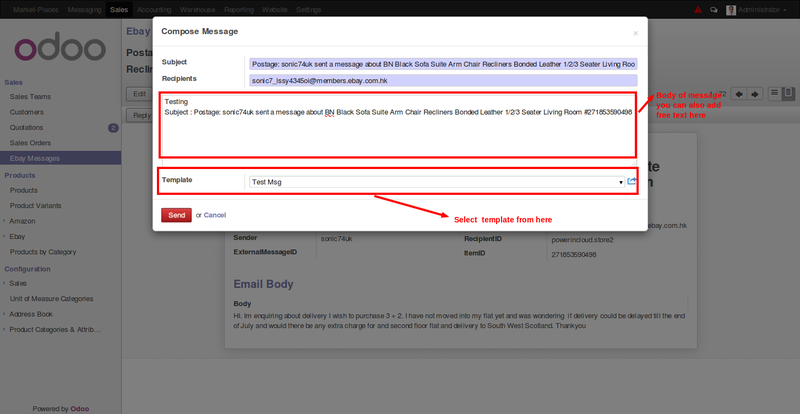 Step 3: We can reply to sender of the Ebay messages from Odoo itself. 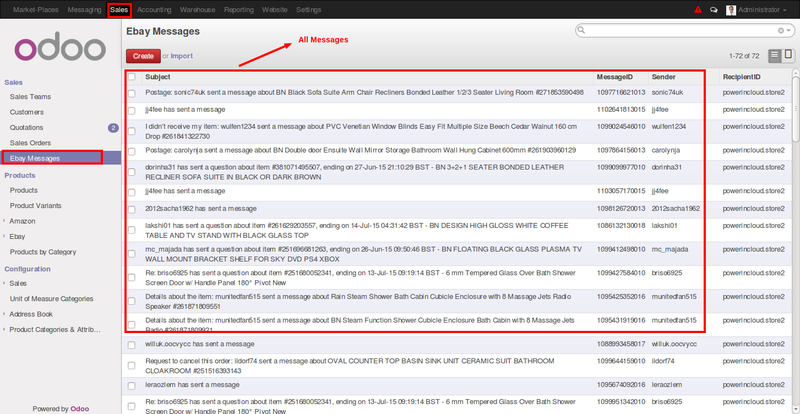 Step 4: This is a Reply wizards which will have enough information for recipients of this message.